In some of my previous posts I talk about Just-In-Time Interaction and a P2P gaming discovery and initiating service. After reading the competition description I thought it would be worth exploring how Web technology (Web and WebRTC) could be used to create a more dynamic service for proximity gaming and currently working on the first prototype (slowly). The following 2 diagrams hopefully describe the architecture of the service and user flow. In essence, a broker will be used for developers to register their games and serve the appropriate ones to peers. 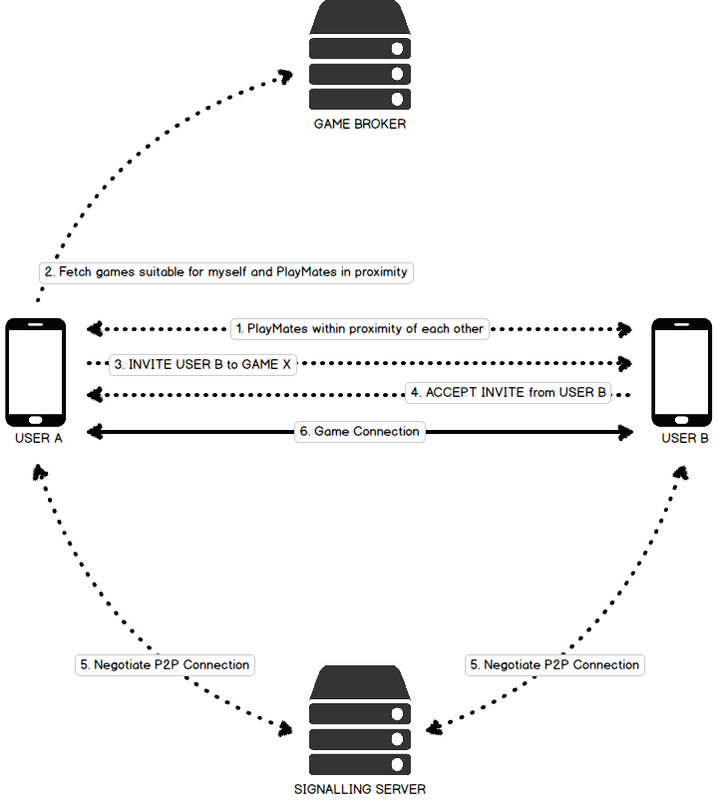 PlayMates are subtly notified when they come come into proximity of each other, either PlayMate can invite the other to a game which is served up by the broker and once/if accepted the connection is made via WebRTC.